*Breaking* Twitter Just Passed 5 Billion Tweets! If you’ve never seen GigaTweet, then you should check it out ). 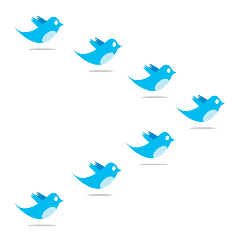 It’s basically like a tweet gauge showing you, in real time, the number of tweets being posted to Twitter – it’s actually crazy to thing this many updates are occuring at once! If you site an watch the GigaTweet gauge run, it’s almost 1000 tweets per second that are occurring – pretty amazing if you ask me. 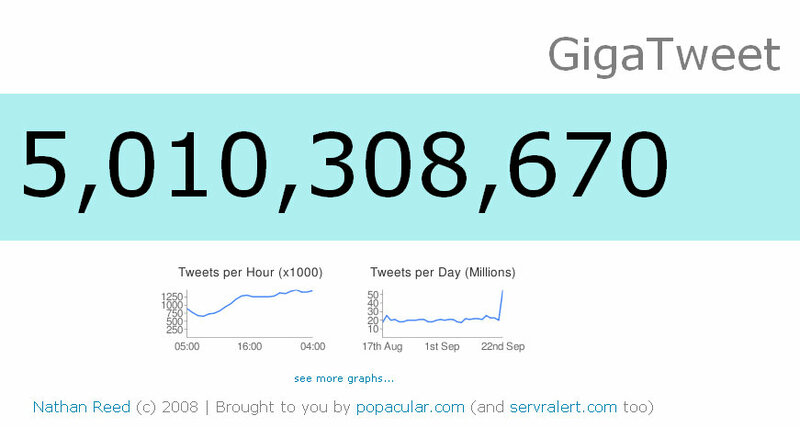 Anyway, according to GigaTweet – Twitter has now surpassed the 5 billion tweet mark! The way to put this in perspective for normal website owners is this – each tweet is an individual web page. So this means that Twitter is now made up of over 5 billion web pages!